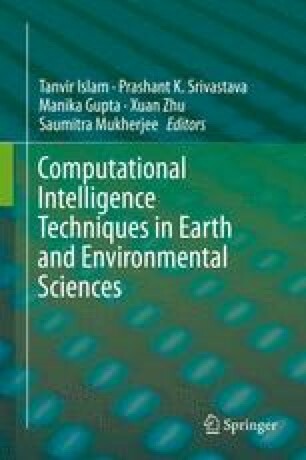 This chapter presents a data adaptive filtering technique to extract annual cycles and the analysis of inter-annual climate variability based on different climate signals using discrete wavelet transform (DWT). The annual cycle is considered as higher energy trend in a climate signal and separated by implementing a threshold-driven filtering technique. The fractional Gaussian noise (fGn) is used here as a reference signal to determine adaptive threshold without any prior training constraint. The climate signal and fGn are decomposed into a finite number of subband signals using the DWT. The subband energy of the fGn and its confidence intervals are computed. The upper bound of the confidence interval is set as the threshold level. The energy of individual subband of a climate signal is compared with the threshold. The lowest order subband of which the energy is greater than the threshold level is selected yielding the upper frequency limit of the trend representing annual cycle. All the lower frequency subbands starting from the selected one are used to reconstruct the annual cycle of the corresponding climate signal. The distance between adjacent peaks in the extracted cycles refers to the inter-annual variation of the climate condition. The experimental results illustrate the efficiency of the proposed data adaptive approach to separate the annual cycle and the quantitative analysis of climate variability.